High blood pressure, or hypertension, can increase your chances of suffering from cardiac disease or a stroke. Understanding the risk factors for high blood pressure, and taking proactive measures to reduce these risks, can save your life. Obesity, alcohol abuse, nicotine use, and genetics can all contribute to your risk for developing high blood pressure. Maintaining a healthy diet and exercise regimen and losing weight are important first steps towards controlling your blood pressure. A weight loss center near Chattanooga can help you find the best weight loss program for you. High blood pressure typically runs in families. If you know that you have a family history of high blood pressure, you should begin trying to lower your risk as early as possible. You can do this by lowering the risk factors that you do have control over, like diet, exercise, weight loss, and alcohol and nicotine use. You should also get your blood pressure checked regularly by your doctor. A sedentary lifestyle greatly contributes to your risk of developing high blood pressure, as well as cardiac disease and stroke. A poor diet high in calories and low in nutrients can cause obesity. Obesity puts stress on your heart and increases your chances of high blood pressure. Losing weight, even as little as 10 to 20 pounds, can lower your risk. Regular use of alcohol and nicotine can also dramatically elevate your blood pressure. Weight loss, combined with a healthy diet, exercise, and consuming alcohol in moderation, will lower your blood pressure and decrease your risk of a heart attack or a stroke. As you get older, your chances of developing health problems like diabetes, high blood pressure, and cardiac disease increases. Losing weight and maintaining an active lifestyle can also be more difficult as you age. 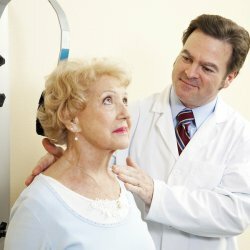 High blood pressure is more common in men up to age 45, and more common in women after age 65. High blood pressure occurs most often, and at an earlier age, in African Americans than in other races. Garlic: The Newest Health Craze? Ok, so maybe the health benefits of garlic aren’t big news in Chattanooga. But if you’ve never used garlic outside of flavoring your dinner, you’re in for a surprise. Chiropractic patients in the Chattanooga, TN area know that one of the best ways to prevent diseases and even some types of pain is related to diet and herbal supplements. Let’s add garlic to that list of helpful foods, and keep reading to find out why. An aphrodisiac, an antioxidant, and an antibiotic. In a world full of synthetic—meaning chemical-filled—medications, finding a natural substitute is always a good thing. Your Chattanooga, TN chiropractor will encourage you to find natural alternatives to most chemical solutions. Why not start with garlic? As an aphrodisiac , garlic has quite a history. It promotes blood circulation, so ancient Tibetan monks were forbidden from eating it in case it stirred up their passion—a restriction some Buddhists still follow today . As an antioxidant , garlic has a compound called allicin that functions to do all kinds of things, including prevent cancer and strokes. As an antibiotic , garlic functions similarly to the way it functions as an antioxidant: the compound allicin fights infection and bacteria. That’s why garlic shows up in many home remedies for colds and sinus issues . As you can see, garlic is an excellent alternative to many medicines we take every day. Too bad it smells so strong, or more people would be probably be on board! There are many medical studies confirming that garlic in many forms can reduce blood pressure. One such study by the NIH (National Institute of Health) confirms that garlic does reduce blood pressure, especially in hypertensive patients. 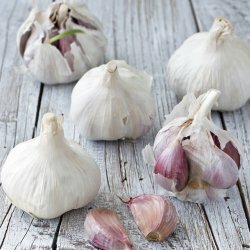 This study is written for medical professionals, but it is apparent from a quick scan that garlic didn’t do much for those with normal blood pressure, but it certainly reduced blood pressure in those currently having an issue. Want to bring down that blood pressure without throwing chemicals down your throat? 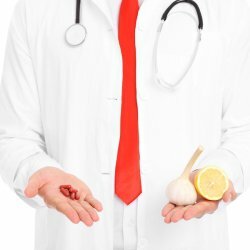 Talk to your doctor about trying garlic supplements instead of medication. If it works, you’ve got a permanent solution that won’t damage your body—it will actually help prevent cancer and colds too! As if the four things we’ve already mentioned aren’t enough to convince you to incorporate more garlic into your life, we’ve got a few more that your Chattanooga, TN chiropractor will love! Can help prevent Alzheimer’s and dementia: the same thing that contributes to cancer—free radicals in our food—contributes to the aging process. The antioxidants in garlic can help prevent cancer, but can also aid in preventing damage to the brain as we age. May help you live longer: garlic is known to have beneficial effects on chronic diseases, so by this principal, it should help you live longer. Improved athletic performance: garlic was used by ancient Greeks to help the performance of Olympians, specifically to reduce fatigue. Detoxify heavy metals in the body: garlic is known to protect the body’s organs from damage from too many heavy metals in the body. May improve bone health: rodent studies have shown that garlic increases estrogen levels in females, which minimizes bone loss. We hope that’s enough benefits for you Chattanooga readers! Garlic is worth looking into as an added daily supplement—or a focus in recipes. What’s your stance on garlic? Did you know that garlic was so helpful to your health? If not, we hope we’ve shown you enough to prove that garlic can only help. If you’ve got kids who turn their noses up at this addition to supper, try explaining what it can do—it might change their minds! Are you in the Chattanooga area and are a fan of garlic? Or do you hate it, despite what you know it can do for you? Tell us your perspective in the comment box below, and we’ll get back to you right away! If you have diabetes, weight loss near Chattanooga requires more than watching your calorie intake. Your weight loss efforts must also take into consideration your blood sugar needs. This video offers safe weight loss tips for individuals with diabetes. Carbohydrates are a source of calories, but they also have a demonstrative impact on blood sugar levels. When creating an eating regimen to lose weight, focus on your carbohydrate consumption. Foods such as white bread, candy, and ice cream all contain carbohydrates, so your inclusion of these items should be minimal. Instead, opt for healthier alternatives such as low-calorie bagels and dark chocolate that contain fewer carbohydrates. Not only will you lose weight because of your reduced calorie consumption, but you will also find it easier to stabilize your blood sugar levels.